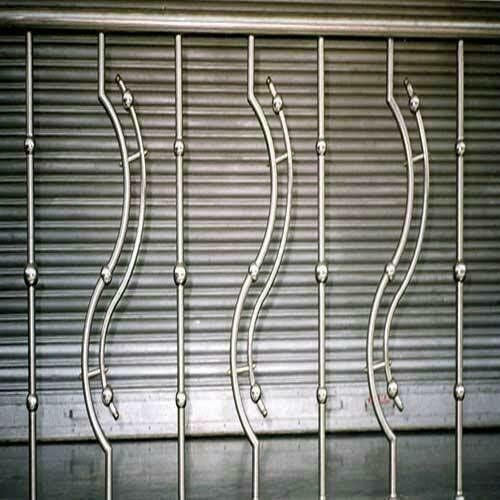 Product Description:We are manufacturer of high quality of Decorative grills which can be used as the railing of staircase & it can be used as part of cast iron Decorative Grill. We also make customized grills as per the requirement of the customer. We are manufacturer of high quality of Decorative grills which can be used as the railing of staircase & it can be used as part of cast iron Decorative Grill. We also make customized grills as per the requirement of the customer. We Jai Guru Stainless Steel Fabricator, from 2010 are manufacturing a high-quality range of Stainless Steel Balcony Railing and Spiral Stairs. Offered products range consists of Stainless Steel Railing, Stainless Steel Balcony Railing, and Stainless Spiral Stairs. In manufacturing these products, we use top grade material. Offered products are highly durable, high tensile strength, corrosion resistant and easy to install. Apart from this, we are also known for providing customization facility to our customers. We constantly work hard for our clients in an organized and professional manner. Our way of working is highly appreciated by our patrons and this has also led an expansion of our client base. We have gained a commendable position in the industry by manufacturing quality oriented products. We maintain a high standard of quality in the production process. Additionally, we have a research & development unit, which is engaged in designing upgraded range to cater the needs of the patrons. For the benefit of our clients, we are offering different payment options to them like cash, DD, and online fund transfer.